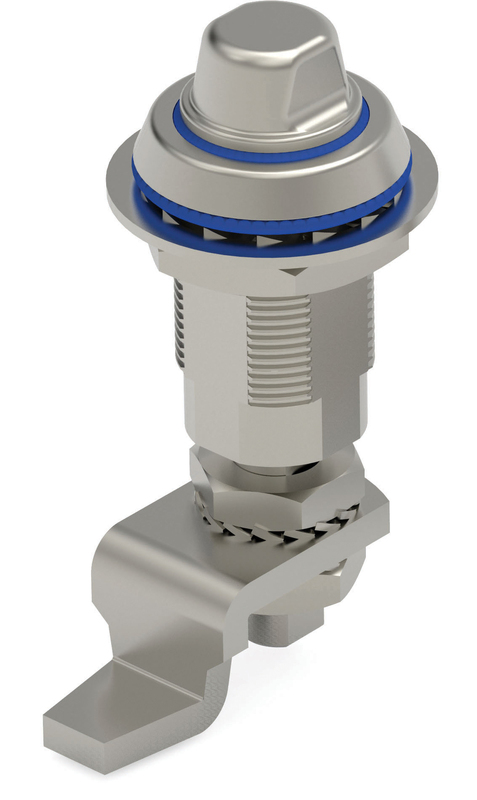 The new stainless steel 440 series hygienic compression lock from Essentra Components combines the essentials of clean design, such as the protruding special driver (and key) which eliminates cavities so that the unit is dirt resistant and easy to clean, with the added security of gasket sealing and the anti-vibration performance of 6mm of compression. This lock is ideal for food processing or medical applications, or for external use, particularly in multiple wash-down situations. The 440 series with AISI 316 housing achieves IP69K - protecting against close range high pressure, high temperature spray due to its extra secure clamping effect. Both standard grip range and adjustable grip range versions are available hygiene tested to GS-NV 6:2015/2 and vibration/shock tested to DIN EN 61373 category 1-B.